“What follows is not ‘officially’ sanctioned by anyone. It is my personal assessment of certain phenomena based upon years of intense study and self-reflection. I write this because I feel that the perspective I will be sharing could be helpful in persuading people that the weekly meditations and especially significant events such as the IS:IS Portal Activation on April 20-21 or the Cosmic Goddess Activation on the upcoming summer solstice really can make a positive difference. Over the past few years of monitoring geopolitical events as well as the much hyped ascension-event-that-wasn’t of 2012, I’ve observed what appears to be collectively an organization of those following the action into two camps: 1 – Hyper-masculine heroes or 2 – meditators. These are 2 camps working towards the “light” or planetary liberation. We know our history of our planet has been dominated by negative masculine control for years. The hyper-masculine ‘boots-on-the-ground’ mentality of positive groups is best illustrated by the ‘White Hats’ in the west and the ‘White Dragon Society’ in the east. This is an oversimplification on many levels – especially since there are obviously substantial numbers of men AND women involved in these groups. But the overall mentality within these realms is very ‘male’ as many of our political and military institutions are still heavily dominated by men. The second group, meditators, collectively has many websites and blogs promoting a vision of planetary liberation sought not by turning one’s attention outward but inward. These online resources tend to focus on the mindset that world peace is best attained by cultivating peace within oneself. Again, this is an overgeneralization, but overwhelmingly these websites seem to be maintained either by women or by men who have a deep personal connection to the divine feminine. I do not believe this is a coincidence. A major aspect of humanity’s awakening is occurring via increasing awareness of the divine feminine; people themselves must change within before the institutions we’ve created can be changed. 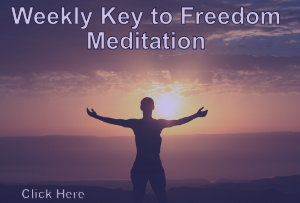 The weekly meditations championed by Cobra are heavily focused on bringing Goddess energies back into humanity. The upcoming solstice represents another important milestone in anchoring this energy into our species and planet. I am personally an avid follower of the website Veterans Today. To me, this represents the best collective of intelligence assets, positively-oriented insiders, and whistleblowers that exists in the west. Indeed, many view them as the public face of the collective ‘White Hats’ working to bring down the Cabal, even with their high-profile disputes or interpersonal attacks with other positively-oriented sources. I view this not as a reflection of ‘good vs. evil’ but rather an unfortunate byproduct of the hyper-masculine realm these people come from. There always seems to be a pecking order and an ‘alpha-male’ at the top of it. Without rehashing all of the material in the four links above, in summary it appears that a concerted effort is occurring to ‘attempt’ to create a multi-city nuclear catastrophe this weekend…likely on Sunday, June 22. I believe this will not happen, because the forces working against this plan are simply too powerful and will be successful in defeating it. However, the ‘Why?’ and ‘How?’ of defeating this plan is related directly to the meditations associated with both the solstice as well as the Goddess Spiral weekly meditations. My own working hypothesis is that key dates throughout the year represent opportunities for both the Light & Dark forces to try and anchor energies which support their agendas. It appears that the etheric matrix of control surrounding the planet is actually energized by the collective fear and submission of the global populace. Hence, by anchoring peaceful Goddess energies into the planet we are slowly but surely weakening the matrix of control which the Archons have worked so hard to maintain over 25,000 years. I visualize this as a systemic ‘thinning’ of the matrix or sphere, or call it a massive multidimensional electromagnetically-charged sphere surrounding the planet; the more the population exercises their free will and does not give into fear, the weaker this sphere becomes. The final shattering of this sphere could be described as “Compression Breakthrough” using Cobra’s terminology. On the other hand, to strengthen the sphere it is necessary to commit atrocities. These can be accomplished via either the large-scale plans of a global ‘false-flag’ event, or they can be done by the torture and sacrifice of the innocent. Given that I do not follow this dark path, I cannot explain it fully, but I ask people to consider the movie “Monsters, Inc.” (Pixar/Disney 2001) as an allegory to how this may actually work. These monsters on ‘the other side of the veil’ (the veil being represented by a door) draw the energy they need to power their world by inducing fear/terror in children. While the movie ends on a feel-good note by allowing the ‘discovery’ that laughter (joy) is more powerful energetically than a scream (fear/terror), the parallels between what is understood about Archons’ control mechanisms as compared to the movie’s plot-line are simply stunning. Over this coming weekend, there will be a volatile mix of energies coming into the planet. While the Cabal ultimately seeks to re-strengthen their slipping hold on power, the Forces of Light both on and off of the Earth seek to strike a substantial blow to the matrix of control. Despite the language used to describe this, it ultimately is about waging peace. We as a species can only ultimately win by not fighting with each other, which requires the war machine to be stopped at every turn – even down to the tiniest quarrels amongst ourselves. My own interpretation of how the mass meditations actually work is that they negate the effect of the etheric Archon grid (matrix) by reducing the effects of the stimuli meant to increase agitation and strife. I believe this is done by counteracting the naturally-occurring ‘healthy’ electromagnetic forces within the brain which affect memory and emotion. Both memory and emotion are heavily influenced by electromagnetic fields (EMF); this is how such phenomena as electro smog and HAARP end up altering human interaction – they literally rewire us to be more easily angered. Combine that with less accurate memories of actual events, and it becomes much easier to foment conflict between disputing parties into all-out war. When we meditate, we calm down the brain such that thoughts and emotions are less volatile and subject to manipulation. We’re simply much less ‘on edge’. If we extrapolate that on a planet-wide scale, the collective human consciousness also becomes more coherent at times of mass meditations. All one has to do is to research the Global Coherence Initiative or other evidence presented by sources such as David Wilcock or even Cobra and you’ll be able to see scientific study of this phenomenon (search also for the ‘Maharishi Effect’). How exactly does this help the cause of those working to bring down the Cabal? Well, once you’re ‘on top’, the easiest way to stay there is via a ‘divide and conquer’ strategy. If your enemies are fighting each other, they cannot join forces to take you down. At this time on Earth, one of the single largest barriers to planetary liberation is the lack of cooperation and coordination of the surface population. There are simply too many competing agendas and priorities which undermine the effort at a coordinated multifaceted strategy to take down the Cabal. On a related note, many of these positively-oriented groups have a very ‘masculine’ mindset – there are always individuals who compete to be the Alpha and call the shots in the operation. Given this, it becomes easy to foment conflict by setting these competing individuals against each other. Conversely, we can send out collective loving energies toward these individuals by participating in the group meditations. These energies can provide protection from Archonic interference so that those on the ‘front-lines’ can be calm and clear of mind during times of key operations. Remaining cool under pressure is of utmost importance toward those actively working on planetary liberation; we can greatly aid these people in these efforts by not only neutralizing the Archons but also by removing them from our planetary sphere forever. Think of the etheric Archon grid much like a massive tarp covering the Earth. If everyone shares in the burden of lifting it up, the load on each respective person becomes much more tolerable. On the other hand, if there are few actually doing the work of lifting it up…it becomes unbearable after too long. The same goes with those of us who consider ourselves light-workers; many of us are simply beginning to break down after years of financial stress, lack of sleep, relationship strife, and repetitive energetic attacks. Despite the dour tone of that last sentence, the last thing I wish to do is dissuade people from joining the weekly meditations. At this time, we have more help from ‘beyond the veil’ than we ever have. Based upon Cobra’s recent writings, many female members of the Resistance Movement as well as various ET groups are joining in great numbers to help bring the energies of peace and love to our fragile planet. Hence, given the massive amount of focus on Earth from beyond, any assistance whatsoever from the surface population will magnify the power of these in-streaming energies. While I personally do not believe this will the final “Compression Breakthrough” (Note – but it could be! ), I think this upcoming weekend represents one of the final chances for the Cabal to significantly regroup…and for the Archons to re-strengthen the veil. To accomplish this, we only need to look at the recent appearance of a group conveniently named “ISIS” as a manifestation of how fearful the Archons are of the peaceful Goddess energies coming into the planet. If we can assist the Light Forces above, below, and on the planetary surface via a substantial participation in a mass meditation both at the time of the summer solstice as well as during the Weekly Liberation Meditation we can greatly expedite the sequence of events leading to…the EVENT! I ask all of you who read this that if these words resonate deeply within you, please pass along the following information such that we can have a large, large number of people participating this weekend in both the Saturday & Sunday meditations. Ideally we can increase the participation not just at this time but going forward as well. As Cobra stated during his May interview, every person DOES count! Peace, prosperity, and a new golden age for our planet and the life which calls it home! Hey there is a lot of good advice and thoughts on things people do to help out to express unity here. Great job. Thumbs up. Very well written! Each one of us, who has been active in “Becoming,” must renew our own connection with the Source of our being. At this crucial juncture in the unfolding of this human life wave, it is vital that we take this information, digest it, and share it!